Why help More4kids? A short story. We wrote an article once about how to help children get out of abusive relationships. Shortly after we received a note from a mom thanking us. She said the article “gave her the courage to get her daughter out of a terrible abusive situation“. Tears came instantly to my eyes. Since then we have had a lot of feedback like this. Moms and Dads finding new and creative ideas to nurture and help their child grow. Parents giving there child tools to be successful. To us simply knowing that we helped just one family or one child like this makes what we do worthwhile and why we fight to keep our site up and going. 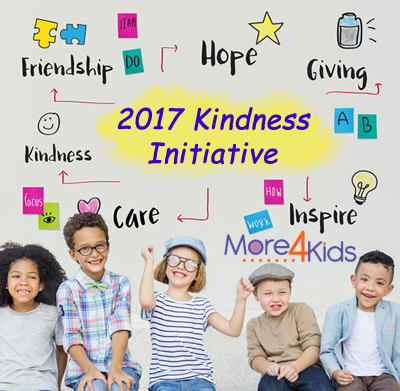 How to Help More4kids: Any amount will help keep us going at More4kids. Even a $1 would help. Thankyou. More4kids is not a large corporation. We were founded over 15 years ago when our first child was born out of love for our child. Currently we are in need of updating our website and servers to keep going for another year. A small $5 or $10 donation will go a long way and be greatly appreciated. 99% of our operating fees come out of our own pockets. As owners we don’t take any pay, our only payment is when we know we have helped a child or a parent. We are a family owned and loved business dedicated to bettering the world through helping children and parents worldwide. Out of our love for our Children came the inception of More4kids.info. Since “kids don’t come with an instruction manual“, our goal is to become a leading provider of information and resources for parents and to celebrate those we call our Children. Our writers are parents just like we are. 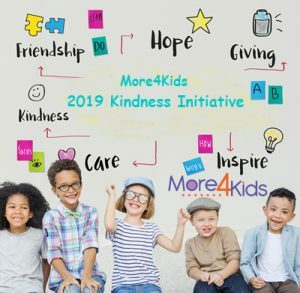 More4kids International is working hard to build an online community that brings parents, families, and teachers together in order to share ideas and information, in order to improve our most precious gift of all, our children. 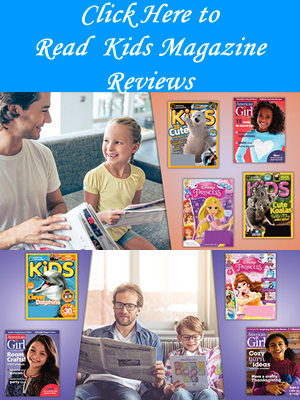 More4kids, www.more4kids.info is a mom and dad owned site dedicated to helping parents and children. Each month thousands of parents visit our site looking for information. We run More4kids out of our own pockets and out of our desire and love for children. 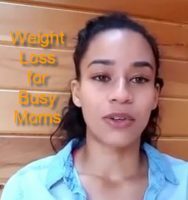 Any help in keeping this site going is greatly appreciated and by helping you will know that you will be helping parents and children worldwide. Now on with the article and other great charities we love and support. Thankyou from all of us parents at More4kids.